What could radio-tracking mosquitoes tell us? News that Australian scientists are about to start a study of bee behaviour using tiny sensors attached to the insects created headlines around the world. Why not, it is a neat story and there is no doubt a need to better understand bees and the threats they face from human activity, parasites, disease and a changing climate. The researchers have already flagged the potential for this methodology to be adapted to studying mosquitoes, what could we find out…if the technology works. The research team at CSIRO will be attaching sensors (approximately 2.5×2.5mm) to the thorax of 5,000 honey bees in Tasmania. As described in the media release, these sensors act like the “e-tags” in our cars that are used to pay road tolls. 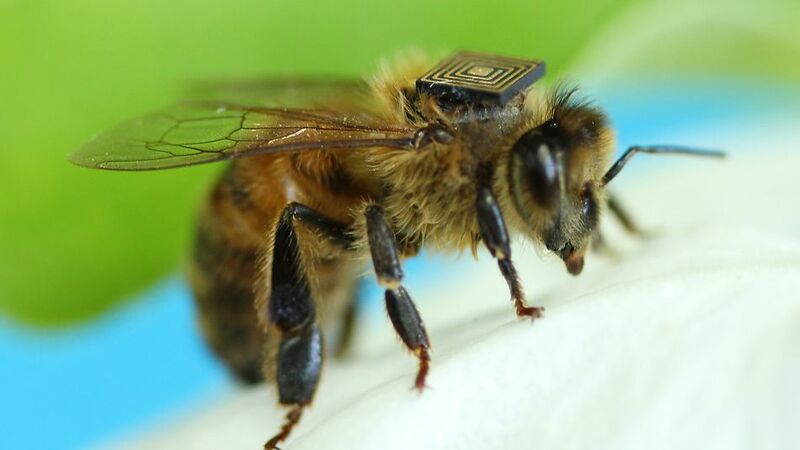 An array of detectors will record the movement of those bees with sensors attached. The data could then be used to generate complex maps of bee movement throughout the environment. Lead author on this “swarm sensing” study, Dr Paulo de Souza, has already flagged the possibility that this technology could be adapted to the study of mosquitoes. There is no doubt that the current size of the sensors would need to be reduced (and there are probably some practical issues to solve regarding the appropriateness of field based sensors when it comes to mosquitoes) but, if that can be done, what questions could we answer if we could microchip mozzies? An obvious question but one that has been thoroughly investigated already. Understanding how far mosquitoes disperse from local habitats has implications for nuisance biting and mosquito-borne disease management. The best example of how an understanding of dispersal assists mosquito-borne disease management is found in Far North Queensland where QLD Health manages dengue outbreaks. When a case of dengue is identified by local authorities, mosquito control is undertaken within a 200m radius of the property. This ensures that any mosquitoes that may have bitten an infected person will be killed before they have the opportunity to infected more people. Understanding how far the “dengue” mosquito flies will assist in allowing authorities to target mosquito control activities. We don’t need a high tech solution to find out this information. 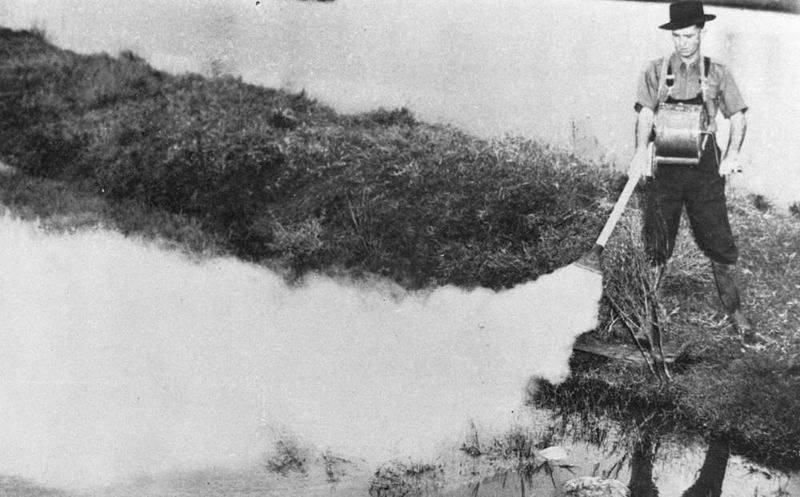 There is a long history of mark-release-recapture experiments measuring dispersal, population size and how mosquitoes interact with the environment. You don’t necessarily need to microchip the mozzies, all you need is a few grams of fluorescent powder. I’ve be part of a couple of mark-release-recapture experiment. My favourite was an investigation into the dispersal activity of dengue mosquitoes in Cairns, Far North Queensland. We marked mosquitoes with a fluorescent powder, released them, and then set a network of traps. All specimens collected were then returned to the laboratory and scanned under a UV light to detect any marked mosquitoes. The results of this study not only assisted the development of strategies to manage dengue outbreaks but this information also assisted the development of a number of research projects (including the Eliminate Dengue program). The major draw back in mark-release-recapture experiments is that once recaptured, that is the end of the individual mosquito’s contribution to the study. You are only provided with limited information. A simple snap shot. The information provided allows measurement of how far a marked mosquito has travelled from the release point but what if the “stops” along the journey are more important than the distance travelled? In the study of mosquitoes that transmit dengue and chikungunya viruses, where eggs are laid can be critically important. Mosquitoes such as Aedes aegypti and Aedes albopictus lay eggs almost exclusively in artificial containers. Much work has gone into determining the preferred types of containers and the factors that drive egg laying behaviour but we can always learn more. Mosquitoes “tagged” could be tracked between various types and locations of potential egg-laying sites. What types of habitats are mosquitoes most likely to visit? Is the location of these habitats important (e.g. are containers located in the shade more productive than those in full sunlight?). The better we understand these associations, the better we’re able to assess dengue risk. With Aedes aegypti exhibiting “skip-oviposition” (i.e. not all eggs are laid in a single container), the ability to track multiple mosquitoes across a range of habitats could provide some valuable information. There has already been much research into this phenomenon using a range of techniques (including this recent study incorporating molecular analysis of specimens) but there are plenty of questions left unanswered. Traditional methods may help identify locations where eggs are laid but how many other sites are visited by mosquitoes where eggs are not laid? This information may be critically important. Understanding how mosquitoes select the containers where eggs are laid is important for targeted mosquito control strategies (either treatment of containers or removal of containers) or to help in the development of more effective “oviposition traps”. These traps can then be used as either surveillance or control devices. The technique may also help identify “cryptic breeding sites” that are difficult to identify using traditional surveillance methods. How do mosquitoes hunt down blood? The Great White Shark can purportedly detect a single drop of blood in an Olympic-size pool section of ocean. How sensitive is a mosquito to the carbon dioxide exhaled from a potential host? Do mosquitoes sit and wait for a plume of carbon dioxide to float by or do they fly around trying to detect a plume and then fly to the host? It would be fascinating to see the long and short range flight patterns of “tagged” mosquitoes in response to potential blood meal sources. Do they react differently in response to the “smell” of humans or animals? How do they approach a host? Researchers have already been working towards answers to these questions using various strategies. Mathematical models have been developed to determine how mosquitoes respond to hosts and cameras in wind tunnels have helped create 3D “maps” of mosquito movement. Understanding how mosquitoes find and approach a host may help improve the design of mosquito traps. I often find that when collecting mosquito traps in the morning, some species are buzzing about and biting me but they’re not represented in the actual trap collections. Are they approaching the trap differently? In the last decade or so, there have been studies that demonstrate that sucking mosquitoes up into a trap, as opposed to blowing them down, can change the species composition collected. Understanding how mosquitoes approach, and are either collected or not collected in, these traps would be a great outcome of being able to “track” mosquito movement. In which bedrooms do mosquitoes bite? In the study of mosquito-disease outbreaks, particularly malaria, it would be useful to understand how many people are potentially bitten by individual mosquitoes. In particular, the spatial and temporal distribution of infective and uninfected mosquitoes and the environmental factors that influence that distribution. Models have been developed to investigate elements of these issues. With more detailed information on how mosquitoes may move around indoors, between rooms within a dwelling or between dwellings in small villages it may be possible to better understand how mosquito movement is influenced by bed nets or residual insecticides. The great benefit in being able to “track” mosquitoes electronically is that it could be a way of collecting data passively. By that I mean you don’t need to lure, catch or kill specimens. As in the examples regarding egg-laying behaviour, being able to track the spatial and temporal activity of an individual mosquito over time would provide some valuable information. Variability in host-seeking behaviour in response to bed nets or other control strategies has been identified as a critical factor. It may also provide some insight into host-seeking behaviour without relying on the need for human landing collections. Some mark-release-recapture studies have provided insights into the movement of malaria vectors from the local environment into villages. The ability to track these movements more specifically, particularly in relation to the availability of hosts, vegetation and other physical/chemical factors will assist in public health risk assessment and the development of control strategies. Perhaps building design could be refined to reduce rates of malaria? Where do mosquitoes take a nap? This may sound silly but it could actually be incredibly useful in developing targeted residual insecticide treatments. The identification of resting sites has been the focus of many studies (here is one from South America) and is generally most commonly undertaken through “vacuum sampling” habitats (but a wide range of methods may be used). This technique will help identify locations where mosquitoes are currently resting but it is a little trickier to work out where they came from and where they’re going from those resting sites. Take this example. That mosquito buzzing about your head at night keeping you awake (most probably the brown house mosquito Culex quinquefasciatus), did it enter your room that night, the previous night, or did it sneak in during the day and take refuge under your bed? While this mozzie may just be a mild nuisance, understanding the resting behaviour of mosquitoes that transmit pathogens will assist control activities. When and where would be the best place to use insecticides to ensure a good nights sleep? With increasing scrutiny being placed on the use of insecticides in the environment, understanding where applications of residual insecticides are most effective will help balance mosquito control and environmental conservation objectives. For example, to get the most control with least insecticide application, should products be sprayed in the canopy of trees or in the leaf litter below? What surfaces on the outside or inside of homes are most likely to be favoured by mosquitoes? Is the resting behaviour of mosquitoes influenced by the presence of insecticides? This may not have a great impact on mosquito-borne disease management but it could provide some idea of the ecological role of mosquitoes. What do male mosquitoes do? They’re generally not collected in the carbon dioxide baited traps commonly used to collect female mosquitoes. You can collect them with sweep nets or aspirators but that doesn’t really provide much insight into their spatial and temporal activity. Wouldn’t it be fascinating to see what plants male mosquitoes are visiting? They don’t need blood but are they likely to seek out “plant juices”. Could male mosquitoes play a role in plant pollination? I’d love to know how male mosquitoes interact with the local environment. From some of our previous research with Culex molestus, we know that the diet of male mosquitoes can influence the fecundity of the females so perhaps understanding the activity of male mosquitoes could provide some novel control options? Lots of ideas to consider once the technology is available. However, it is important that we don’t fall into the trap of repeating experiments and reexamining known behaviours just because we have some new technology. What excites me to most is the prospect of answering some questions we don’t actually know how to answer with current technologies. Watch this space! The photo at the top this post is taken from the CSIRO media release. The new year is off and running. 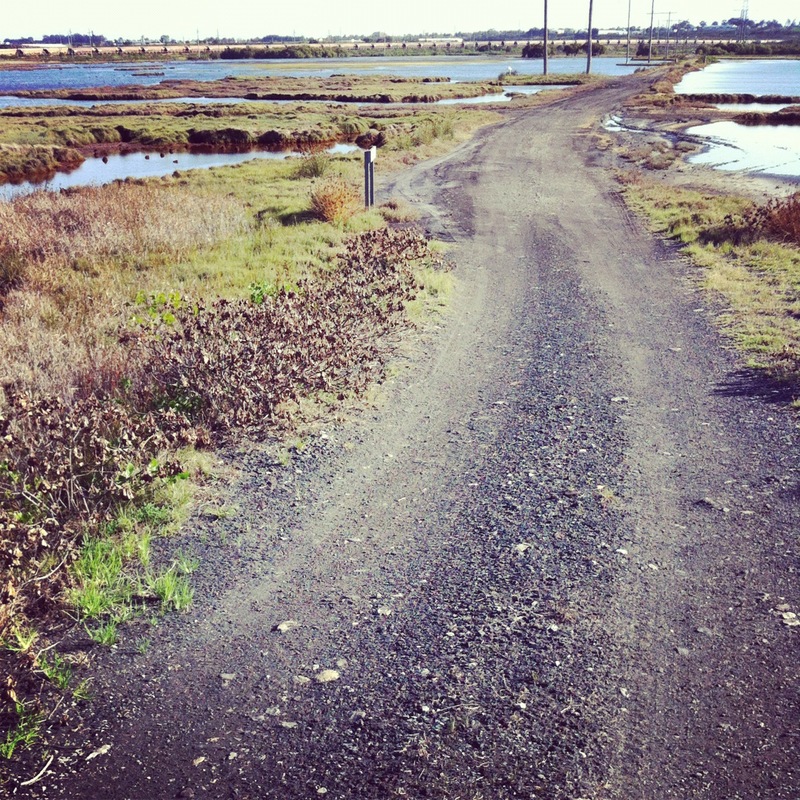 What twists and turns will mosquitoes and other biting arthropods provide in the year ahead? Here are just a few of the things I’ll be keeping my eye on. Ross River virus is the most commonly acquired mosquito-borne infection in Australia. It causes a potentially serious illness with flu-like symptoms and, although not fatal, can be seriously debilitating. There are around 5,000 cases of disease reported each year with cases reported from across the country. It is something of an urban myth to suggest that “Ross River virus is moving south from Queensland”. In fact, some of the largest outbreaks in recent years have been in southern states. South-west Western Australia has had considerable activity in recent years. Along the east coast, activity has actually been reasonably low. Flooding of inland regions during 2010-2012 resulted in some substantial activity west of the Great Dividing Range but along the coast, not that much has been happening. One explanation is that the average to above average rainfall the east coast has experienced in recent times is not conducive for the major pest mosquitoes associated with coastal wetlands. With drier conditions forecast for this summer, conditions improve for these mosquitoes. The recent king tides that occurred in the first week of 2014 have provided an opportunity for a major emergence of mosquitoes. This may get the ball rolling for a big year of mosquito activity along the coast. While we can forecast a rise in mosquito populations, predicting an outbreak of Ross River virus is much more difficult. The key reason for this is that mosquitoes don’t hatch out of the wetlands infected with the virus, they must bite an infective animal (most commonly kangaroos and wallabies) first. This means that complex interactions occur between mosquitoes, environmental conditions and wildlife ecology. We don’t quite understand how all these factors interact just yet. What we do know is that it is unusual to have more than a couple of years without at least a minor outbreak of Ross River virus and with a combination of suitable environmental conditions, could the Autumn of 2014 see a surge in cases of disease? Will the Eliminate Dengue project eliminate dengue? The Eureka Prize winning Eliminate Dengue project has many excited by the prospect that mosquitoes could be “vaccinated” against dengue infection. There have been some great results from Cairns, Australia, where field released Wolbachia-infected mosquitoes have natural spread through study sites and successfully replaced large percentages of “wild” mosquitoes. However, it is one thing to have a well resourced field study looking at the spread of Wolbachia infected mosquitoes alone, will they actually reduce rates of dengue? To test the effectiveness in a dengue-endemic region, the Eliminate Dengue project is currently undertaking field testing in Vietnam. Unfortunately, 2014 hasn’t got off to a good start to the project. 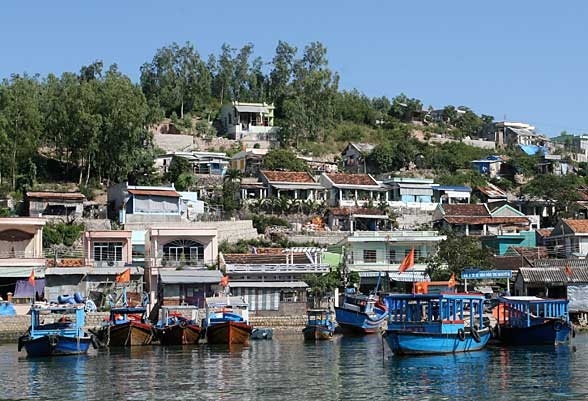 News of some small, but not insurmountable, hurdles has come through from Vietnam where populations of Wolbachia-infected mosquitoes on Tri Nguyen Island aren’t persisting at forecast levels. While the rate of Wolbachia-infected mosquitoes reached close to 80% in August 2013, the rate had fallen to below 65% by early December 2013. Whether the falling prevalence of infected mosquitoes is due to higher mortality rates of infected mosquitoes (or at least some degree of reduced competitive advantage) or other environmental factors is yet to be determined. Hopefully better news will come later in the year. Ticks, and their health impacts, in Australia are gaining some increasing notoriety. We’ve always known that ticks can pose a potentially serious health impact due to bite reactions. There is also the fascinating “tick induced red meat allergy” that is being seen more commonly around Sydney. However, the controversy around the potential presence of a pathogen causing Lyme Disease, or a Lyme-like illness, spread by local ticks has focused the attention of local authorities and communities where ticks are abundant. It will be interesting to see what comes out of the Tick-induced Allergies Research and Awareness (TIARA) group and the federal government’s Clinical Advisory Committee on Lyme Disease over the coming year. In addition, the largest study into tick-borne pathogens is currently underway at Monash University with specimens being processed from across the country in an effort to find, identify and (hopefully) culture any pathogens present so that we can better understand the complex issues surrounding tick-borne illness. 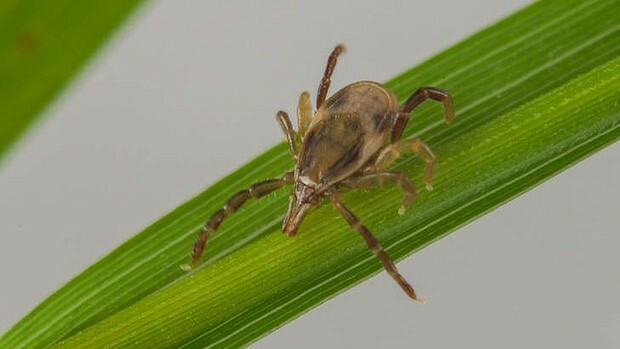 Even if new tick-borne pathogens are documented, the advice provided by local authorities on avoiding tick bites is unlikely to change significantly. However, what has been missing from the promotion of tick bite prevention methods is some good quantitative evidence on the best measures to prevent bites as well as how best to remove a tick once it has attached. Many of the products promoted for use haven’t been registered by the Australian Pesticides and Veterinary Medicines Authority (APVMA) for use against ticks; creating difficulties for health authorities to recommend their use. Also, despite some recent guidelines on tick removal from Europe, these guidelines may not be appropriate against local ticks that have the potential to cause anaphylaxis and paralysis. So, do you just pull off attached ticks or kill them first with an insecticide? We’re expecting some guidelines from the TIARA group this year (in the meantime, stay tuned for a blog post about this from me in coming weeks). There wouldn’t be a better place to be for a football loving entomologist than the FIFA World Cup in Brazil in June & July 2014. Enjoy some football; research some dengue! Brazil has been a focus for dengue research for many years. With tens of thousands of travelers planning to visit Brazil for the world cup, concerns have been raised regarding the possible risk to travelers of dengue. Those risks are well founded as, not only is dengue endemic in the country, but many of the travelers to Brazil may not be fully aware of the risks and the appropriate personal protection measures they should take. We’ve seen this in recent years with a rise in the number of imported cases of dengue and Chikungunya virus with Australian travelers returning from SE Asian destinations. I’ve written about the need to educate travelers on avoiding mosquito bites in these dengue-endemic regions here. 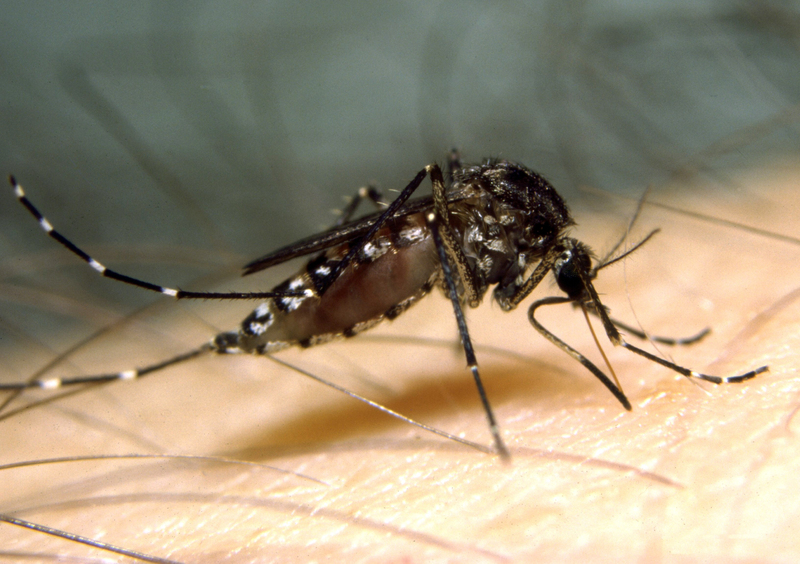 2013 was the year that Chikungunya really made its presence felt in Australia. 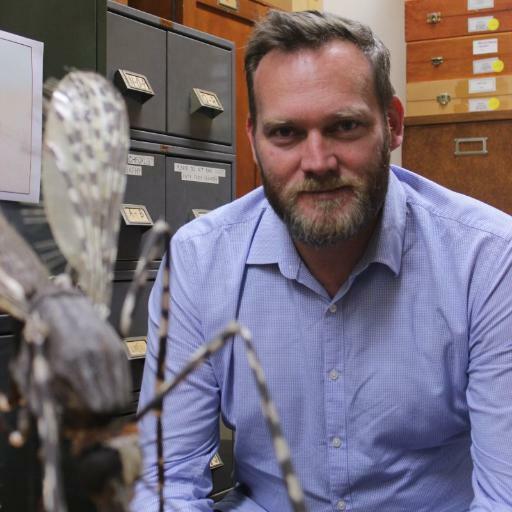 This was due to the Asian Tiger Mosquito knocking at the door of mainland Australia and raising the risk that a temperate climate tolerant mosquito may one day be widespread in Australia and, as a key vector of Chikungunya virus, could pose a serious health risk. Despite no known locally acquired cases of the infection in Australia, the numbers of infected travelers returning from Chikungunya endemic regions jumped dramatically in 2013 with over 100 cases reported compared to an average of about 25 cases for the previous two years. The media love news of a new mosquito repellent. There is likely to be a steady stream of news stories this year about the discovery of new mosquito repellent chemicals. Considerable research is going into the discovery of chemicals, derived from a range of botanical and non-botanical sources, that may hold potential as mosquito repellents. Some neat computational analysis is being done that includes “molecular field topology analysis, scaffold hopping, and molecular docking” to uncover new repellent products. A recent study identified a few “nice” smelling chemicals that may be effective and more user friendly repellents. There also seems to be a focus on products derived from “food grade” substances, I assume as a way to avoid some of the registration obstacles and/or allow greater marketability for the “natural” repellent market. I expect to see many more announcements over the course of the year….but very few new products being made available that will make much of a differences “in the real world” (at least this year). These “discoveries” are usually framed within the context that N,N-diethyl-3-methylbenzamide (DEET) based repellents are unsafe or unpleasant to use. This argument lacks substance when you considered that the safety of DEET is demonstrated time and time again. In addition, most circumstances call for the use of only a low or moderate concentration DEET-based repellent. A formulation that only contains about 10% DEET will still provide a few hours protection. Interestingly, a lot of the commercial “low dose” DEET-based repellents are being replaced by picaridin-based (a product considered more “user friendly”) repellents here in Australia. Rather than new active ingredients, what we really need is better formulations. A move away from topical repellents would be a great move and overcome the difficulties in “user compliance” to get the most effective results. The most promising product in this regard is metofluthrin. This product has recently been registered for use by the APVMA in Australia so I’m looking forward to seeing it available in local stores. It has proven to be effective in preventing mosquito bites. What is most interesting is that the product is usually included with battery operated “clip on” devices that individuals wear. They may not prevent bites when mosquito populations are high (e.g. close to wetlands) but could be a useful alternative to topical repellents when mozzies are just causing a mild annoyance. $600,000 would buy a lot of mosquito repellent! One of the most amazing things to happen last year was the phenomenal support provided to a crowd-funded mosquito repellent patch that purported to make the wearer invisible to mosquitoes. The company raised almost US$600,000 for filed testing of their patches in endemic regions of Africa. Yep, over half a million dollars. 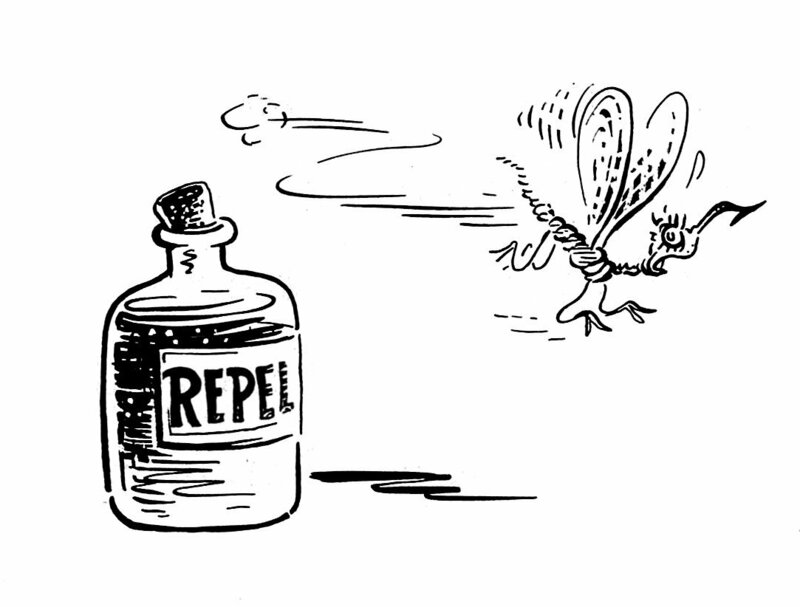 I’ve written about what is required to evaluate new mosquito repellents (it was easily the most read post on my blog last year). Field tests of the Kite Patch are scheduled to commence in Uganda in January 2014 so I will be keeping a keen eye out for any updates. Most importantly, I’m keen to see some published peer-reviewed papers reporting on field and laboratory testing of these new repellents. Hopefully we’ll know by the end of the year whether the “dream” of an effective non-topical repellent can become a reality. The next interesting development will be when the patches are sent out to supporters of the crowd funding campaign. This isn’t expected to be until late 2014 or early 2015 (after the completion of Uganda field tests and EPA approvals). The 11th Mosquito Control Association of Australia conference will be held in Mandurah, Western Australia on 7-10 September 2014. The conference will be held at The Sebel Mandurah and is shaping up to be an exciting forum. Mandurah is located an hour south of Perth and plays an important role in mosquito ecology, being located on the Peel and Harvey estuaries with large areas of tidal saltmarsh habitat. Management of mosquitoes and mosquito-borne disease has been an important issue for local authorities. The theme of the 2014 conference is “Bringing good science to strategic programs” will bring together research entomologists, field biologists, and vector control specialists in a unique networking environment designed to promote collaboration and partnerships to improve preparedness, prevention, and control of vector-borne diseases of medical importance. Keep an eye on the MCAA website for more details in the next month. So, it looks like there will be plenty of medical entomology stuff to keep an eye on for 2014, I wonder what surprises will be tossed up….